Ever Darker Universe Expanding Ever Faster? The most important discoveries in physics of the last 50 years are Dark Matter, and so-called Dark Energy. The two most precise methods to evaluate the accelerated expansion of the Universe disagree by 9%. This surfaces from a recent 2016 paper. I am astounded by the fact that different methods agree so much. A paper detailing the discrepancy, reported on the pre-print server Arxiv in April by Adam Riess of the Space Telescope Science Institute in Baltimore, Maryland, and colleagues, accepted by The Astrophysical Journal, reveals the slight discrepancy between the methods we have of measuring the expansion of the universe. Not auspicious for life: Cepheids Stars Enable To Compute Distance. RS Puppis Shown Here, Varies By A Factor of 5 Every 40 Days. One method looks at dimples in the cosmic microwave background (CMB), a glow supposedly left behind by the hot, early universe just a few hundred thousand years after the alleged Big Bang. Space-based observatories like NASA’s WMAP and ESA’s Planck have measured small fluctuations in temperature in the CMB. Assuming we understand the physics in extreme detail, the size of these fluctuations let physicists calculate how fast the universe was expanding when the universe began, some 13.7 billion years ago. 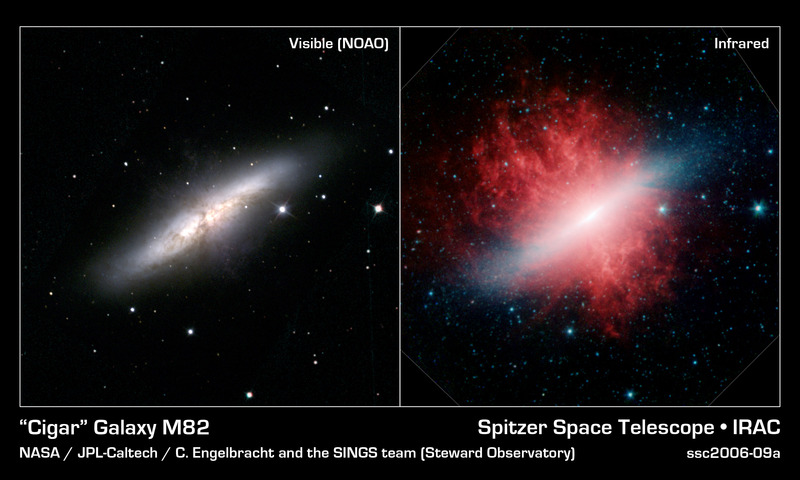 The other method measures how distant galaxies appear to recede from us as the universe expands, using stars and supernovae of type Ia, which have a known brightness to estimate the distance to those galaxies. These Type Ia supernovae measurements led to the discovery of dark energy, and earned Riess and other physicists in Berkeley and Australia a Nobel prize in 2011. The discovery of Dark Energy was astounding (although rumors existed since the 1970s). The physics established in the early Twentieth Century did not predict Dark Energy anymore than Dark Matter (Dark Matter was indirectly observed around 1934, but mainstream physics obstinately refused to pay attention for many decades… And still does not, on the theoretical side). In the case of Dark Matter, it is hoped by the Standard Persons of the Standard Model, that a mundane, anticipated explanation will surface, such as SuperSymmetry (“SUSY”). SUSY would provide for plenty of mass, because it adds plenty of particles (one for each existing particle). SUSY assumes a perfect symmetry between bosons and fermions. But I don’t believe very much that SUSY, even if it existed, would explain Dark Matter, for a number of reasons. Somehow the mass of the Super Partners would have to add up to ten times the mass of everyday matter. That’s weird (to me). Even worse, SUSY does not explain why Super Partners would get spatially segregated, as Dark Matter is (as far as I know, only my own theory explains this readily). Instead I believe an obvious logical loophole in Quantum Physics will provide (plenty of) Dark Matter. And it makes the observed spatial segregation between Dark Matter and normal matter, obvious. One could call that little pet of mine, the Quantum Leak Theory (QLT). I do not see a natural explanation for Dark Energy. Nor do any of the established theories. Actually, Dark Energy is not described well enough to even know what is really going on (different scenarios are known as “Einstein Cosmological Constant”, or “Quintessence”, etc.). Yet, it is imaginable, at least in my own theory of Dark Matter, that the mechanism creating Dark Matter itself could also produce Dark Energy. Indeed the QLT implies that long-range forces such as gravity change over cosmological distances (a bit like MOdified Newtonian Dynamics, MOND). 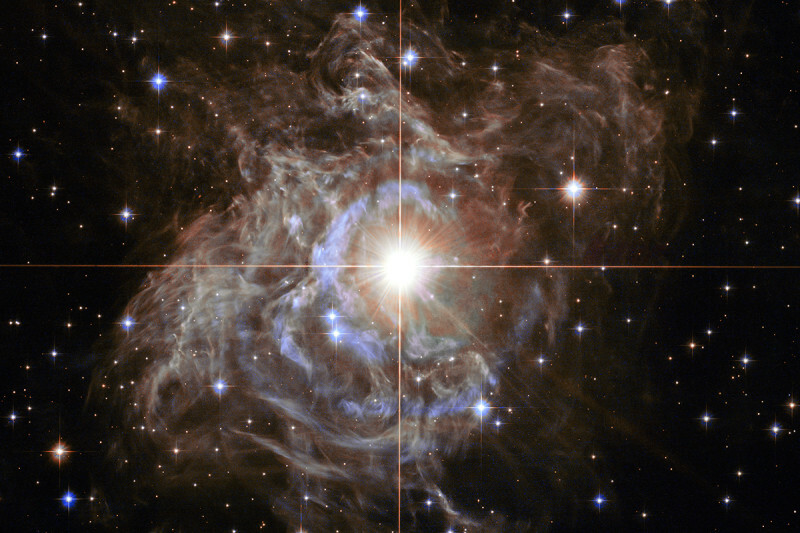 To come back down at the most prosaic level: supernovae distance measurements depend on knowing the distance to nearby pulsing stars very precisely (such as the Cepheid RS Puppis depicted above). The European Space Agency’s Gaia mission, an observatory launched last year, which is measuring the distance to 1 billion Milky Way stars, should help. Many other telescopes will soon come on-line. Astronomy leads physics, just as it did, 25 centuries ago. Nothing beats looking out of the box, and peering in the dark universe. Before feeding the pocketbooks of the greedy, science feeds the imagination of poets. Astronomy has been at the forefront of physics, at least since Buridan (14th Century). Buridan applied his notion of impetus to explain that planets went around in circles from what we now call inertia. In Greek Antiquity, a large, wagon sized meteorite landed in Northern Greece, and was visited for centuries (it may have been a piece of Halley’s comet, which whizzed by spectacularly close in 466 BCE). A Place Of Great Eruptions, Past & Future. Eta Carinae Nebula, At Least A Couple of Giant Stars, The Lightest One At Least 30 Sun Masses, the Largest Maybe As Much As 220 Solar Masses, 7,500 Light Years Away. Five Million Times The Luminosity Of the Sun. Stellar Natures & Explosions Are Far From Fully Understood! Supernova explosions are awesome: the most luminous one ever detected had a peak luminosity 570 BILLION times the luminosity of the Sun (yes, (570) 10^9 Suns; that was seen in 2015). Supernovae are us. Supernovae create most of chemistry: the extremely high temperatures of their explosions enable light nuclei to smash into each other, and fuse, making most elements of the periodic table. There are two main types of stars which explode as supernovae: white dwarfs and massive giant stars. In the so-called Type Ia supernovae, gases falling onto a white dwarf raise its mass until it nears a critical level, the Chandrasekhar limit, resulting in an explosion when the mass approaches exactly 1.44 Solar Mass. In Type Ib/c and Type II supernovae, the progenitor star is a massive star which runs out of fuel to power its nuclear fusion reactions and collapses in on itself, reaching astounding temperatures as it implodes, and then explodes. Supernova science is very far from finished knowledge. Even the nature of the Crab Nebula supernova, which was seen to explode in 1054 CE, is not clear (it is known it was a big star, more than 8 Solar Masses; it left a pulsar). 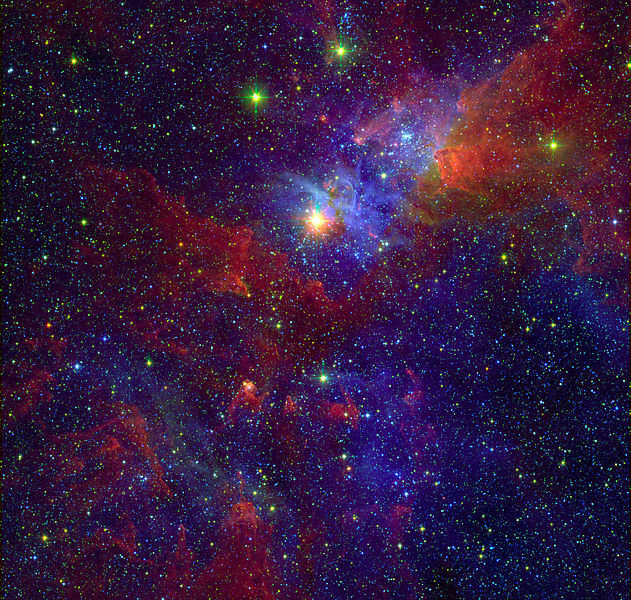 Eta Carinae is the only star known to produce ultraviolet laser emission! There is some philosophy to be extracted from Eta Carinae: if a star, or a system of gravitationally bound stars, can be that exotic, how sure are we from the astrophysics we think we know? I am not the only one who thought of this. The teams who determined the accelerating acceleration of the universe (“Dark Energy”), had to exclude weird, sort-of Type Ia Supernovae… from their statistics (pre-selecting the population of explosions they would apply statistics on…). There are now other ways to detect Dark Energy (and they give the same results as the pre-selected Type Ia supernovae studies). So the results have been confirmed. However my position is more subtle, and general. How sure are we of the astrophysics we have, to the point that we can claim that stars are unable to create all the known elements? In the proportion observed? I am no specialist of astrophysics. But, as a philosopher, I have seen the science evolve considerably, so I think we cannot be sure that we absolutely need the hellish temperatures of the Big Bang to generate all observed elements. Very large stars (600 Solar masses) have now been observed. They don’t live very long. I don’t see why stars thousands of Solar Masses, living only for a few hundred years, before exploding, are not possible. During these so-far-unconceived apocalypses, nucleogenesis could well follow unexpected ways. And that could well remove one of the main arguments for the Big Bang.